Tumblr is more of a Blogging alternative to WordPress. Tumblr is free of cost and highly recommended platform for all the bloggers who want to show their writing skills. Millions of bloggers use Tumblr to present their blogging skills online. You can see a wide range of themes that are available; some of these themes come with a cost. So the more attractive themes will probably come along with a price. For the domain names, user can make their own or they can continue by Tumblr domain names. Users can also go one step ahead and make pages using Tumblr. Tumblr supports multi-media like photos and videos along with the word content. It allows people to even comment, although this is a new feature incorporated. If you write great stuff or even post cool stuff on Tumblr, then chances are higher that you will get a good deal of followers. You can even follow others in the similar fashion. You can even exchange messages over Tumblr. The engagement with Tumblr is much more than that of WordPress. The chances of your blog getting noticed on Tumblr are higher. Inspite of being limited to blogging, Tumblr is a great experience. Blogger, owned by Google is another contender to WordPress. Most of the blogs will have BlogSpot as a domain extension. Blogger is out in the market for quite a long time. The tool is simple to use, if you ever wonder to get your writing skills a platform within minutes, Blogger is a right match for you. More than a decade into the industry proves the credibility of this platform, so this puts the doubts to the rest. Now, if you want to give some extra touch to your content, you may pick themes that you like, and get started. To add icing on the cake, you have the liberty to get around 100 blogs to your account. You can even monetize your blogs if you are really good at your blogging skills. For avid bloggers, it is worth a shot. WIX is another amazing platform to build website. It is one of the easiest platforms known to build websites. Over 60 million users are said to have registered on WIX. 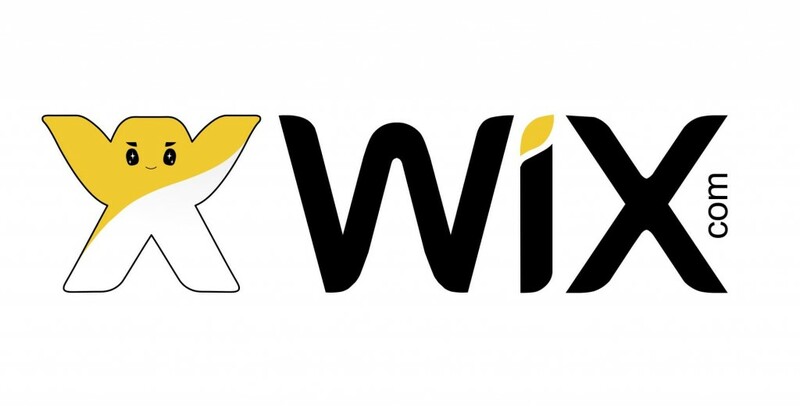 More than one million users are said to have paid for subscription with WIX. Paid subscribers have continued with WIX and more subscriptions keep on adding, even as you read this. This indicates that WIX is certainly a reliable platform to develop website on. WIX is best known for its ability to allow users to pick almost any content and drop it on the website built with WIX. Typically users would not need to do any coding with WIX, and the users can develop the website within a day. If you fall into the category of users who would want a range of templates to look at, WIX will give you around 500 templates. People with little experience or no experience have been able to build some great websites using WIX. For professionals who would want to add a lot of photos and videos, they may also try their hand with WIX. The platform will run exceptionally well for them, so people in photography and hospitality industry may have a great liking towards this platform. They will even like the templates that are very professional in appearance. You may also get a quick help whenever needed. WIX comes as a great tool, and the content is also hosted by WIX. Smartphone users can use the version on their phones. You can even use it for blog purpose. You can get functions for social media with WIX. If you are too particular about the domain, you may have to pay the price. Otherwise, you can get a free one with WIX extension. A lot of personalization is possible with WIX. Weebly is also a top-notch tool available to build a website. It is similar to WIX in terms of content dragging and placing on the website. If you ever used Weebly, you would have noticed that the interface is very easy to handle. You wouldn’t have to learn any codes to develop the website on Weebly. So with no coding, you can develop your own website with a great appearance. If you are running a business alone or with minimum number of employees, then this website will be a perfect platform to connect to wider masses with your skills or any information. You can find templates on Weebly, but those aren’t good as the ones with WIX. Weebly is getting new templates for users at regular intervals. But the designs can still serve you better. As the interface is easy, the chances that you will get stuck are meager. But, in any case, you will get a great support to solve your queries via mail or phone by their team. More than 30 million users have built their websites using Weebly, and to add further, 2 out of 100 websites are built on Weebly. Weebly also provides hosting solutions, which makes another plus point from a user’s perspective. You can also see addition of social media with Weebly. Similar to WIX, Weebly will give you a customized domain for a price, otherwise you will get a domain name from Weebly with their extension. Weebly is recommended for all the users who are want to build a great website appearance-wise and with easy usage experience. If you want to build a website with many pages, then you would have to subscribe with Weebly to get provision to add more pages to the regular limit. Ghost is a tool that is only concerned with blogging. You cannot create websites using Ghost. Ghost has consciously cut down all other features that may end the user in a state of greater confusion. Ghost will give you a simple, yet a great interface. User does not even need a great technical knowledge to run Ghost. It gives a scope for all the writers to concentrate more on writing and reading stuff, rather than other secondary aspects. Number of blogs that you publish will determine the rate that you need to pay. You can use the platform for free to create blogs, but if you plan to use it as a server, then you have to pay the subscription. The paid version comes with combination of features, and depending upon that you would have to pay. The usual rates are for each month. So if you want Ghost to host your content, then take out a budget accordingly. You can play with the content, and see the preview simultaneously. You can change accordingly after watching the preview. If you want to add multimedia, that can be incorporated too. There are quite decent editing options available. You may find variations with respect to design on your mobile phone application. Features will change with the premium package with respect to sharing and storage capacity of content. Ghost is faster to perform the blogging tasks. 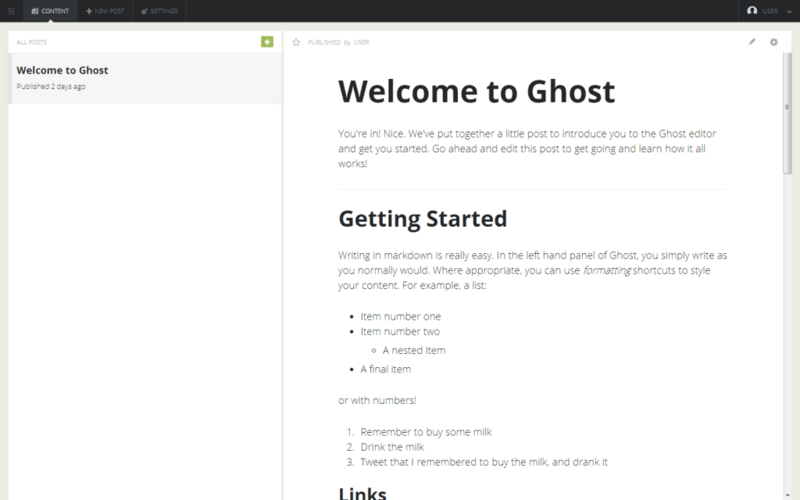 The blogging experience with Ghost is amazing and highly recommended for all the bloggers. Only if you want a high-end website to run commercial operations, you may not prefer Ghost. But all those who want to limit their tasks to blogging, will find Ghost impeccable. Squarespace, also a tool to develop website can be rated as one of the best platforms to build website. Squarespace seems easy to use and is capable of building websites that can have great appearance. Squarespace users have one reason to be happy about, which are the templates that Squarespace provides. If you were to use Squarespace on mobile too, you wouldn’t notice any difference on it as well, with respect to design templates. With Squarespace, you needn’t be a programmer to build the website. You can start easily and most of the things would be placing the things by dragging. In case, you have a problem, you are likely to get solutions over the chat support from the team. The experience is certainly above average, but if you have been user of WIX or Weebly, probably you will not like Squarespace to that extent. But, Squarespace will get the features as a paid service; this is precisely where it takes a beating because others have similar features for free. Users have freedom to use multiple templates on the same website. You can also create blog using Squarespace with modules available; modules are also available for e-commerce websites. If Squarespace hosts your domain, then chances are that you will not have all the control over the website. Squarespace might be a great tool for people who want to build websites displaying general information about their businesses online. If you want a tool to create a website, and that too for a free, then Google Sites can be seen as an option. Google Sites is usually used for developing websites that are simple to be handled. It is commonly known to be a platform for Wikipedia. The domains that you will get will have Google name as an extension. If you were to change it, then you would have to pay a certain charge. If you are very concerned about the appearance, then Google Sites may not be the best option for you. Websites that could handle higher complexities cannot be developed on Google Sites. But, if you were to sit and compare various website-building tools with Google Sites, then Google Sites would probably take a beating.